Which is why I’m always so impressed by the incredible ways some women find to share the news. 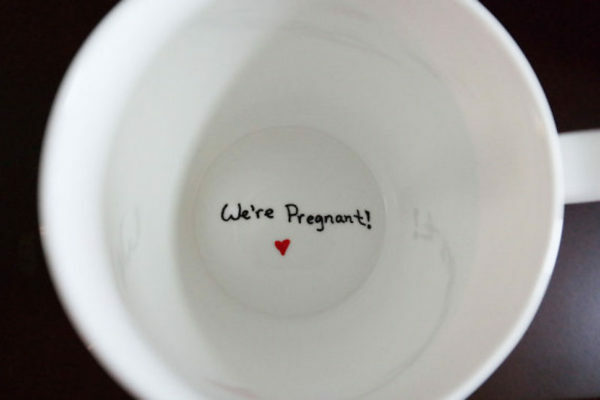 These are some special suggestions on how to let your partner know you’re expecting. If you’re good at waiting to share exciting news (I’m not), arranging a time where you can capture your partner’s reaction on film is a pretty special way to go. Not only do you get to enjoy the surprise in the moment – you can also re-live it whenever you look at the pictures. Plan a staged photoshoot like Bri did, or find a photo booth where you can watch his reaction through a series of shots. 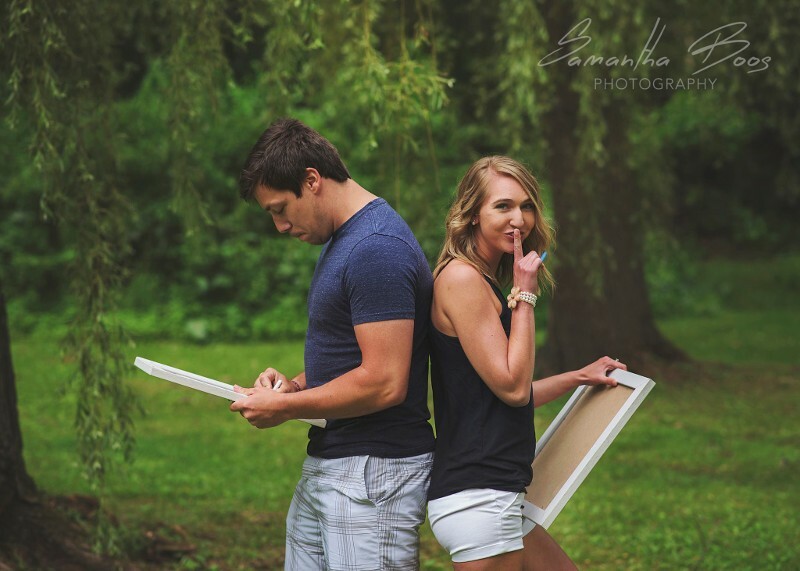 The response this father-to-be had to his wife’s photo booth announcement had us reaching for the tissues! Use porcelain markers to write a special message on the bottom of a plate or cup (or buy one ready-made.) Offer to make your partner tea or coffee, and then watch the look on his face when he discovers something else in his cup as well! Even if you can’t see it from the outside yet, there’s something nice about drawing attention to the spot closest to where bub is growing. Write a secret message, draw a picture, or just use arrows to tell your partner the news. Cover it with clothing and then pick the perfect time to make the reveal. I don’t mean dress up in a onesie yourself (although feel free to do so!). Rather, buy a cute baby outfit, or a pair of booties, then wrap them up and let their size or message do the talking! 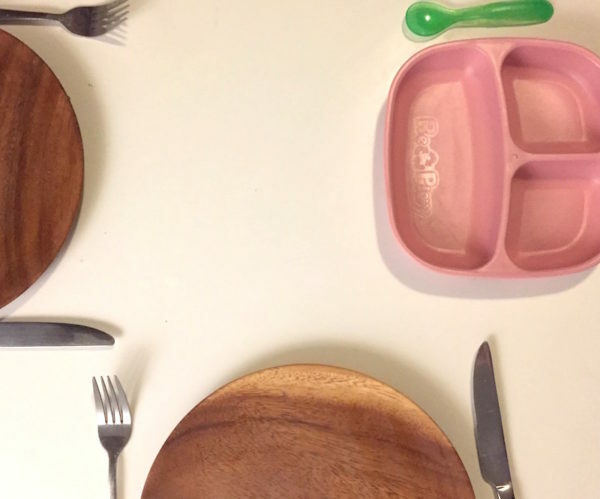 When you set the table for dinner, put out an extra setting with a baby plate and cutlery then see what he says! Pop a bread roll in the oven when your partner isn’t looking, then ask if they can check on dinner for you. They’re sure to get a surprise when they find out what’s cooking. 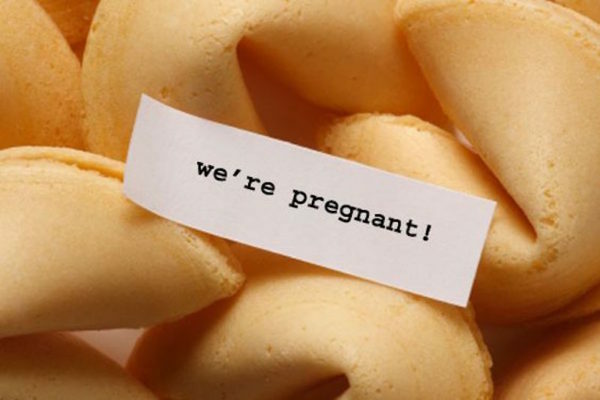 Replace the fortunes in the cookies with a pregnancy announcement. If you can’t handle the anticipation of a whole meal before the news, suggest a new tradition of opening them before dinner! Hang a pair of booties on the washing line. Hide a nappy in his underwear drawer. 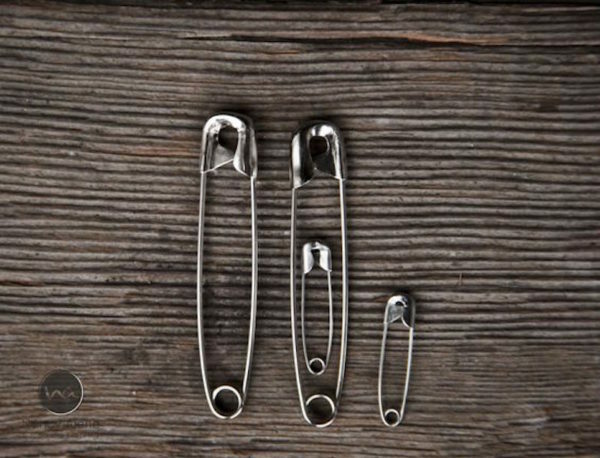 Leave cute paperclip families on the table, and see how long it takes him to discover your surprise. 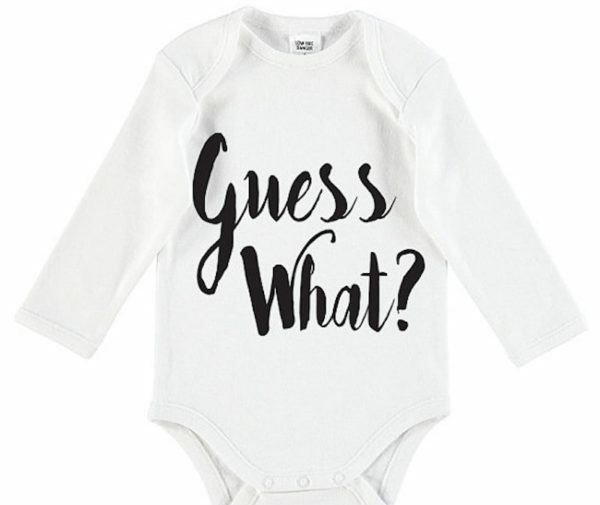 Okay, so this is one that you can’t actually plan yourself – but it’s so darn sweet we had to include it. This husband suspected his wife was pregnant again and wanted to be the one to break the news. So he did some detective work (involving a pregnancy test and an un-flushed toilet) and surprised her with the results! Regardless of how you tell the dad-to-be, in the end it’s the news itself that is unbelievably special. Find something that works for you… and then start planning together how you’re going to share it with everyone else!